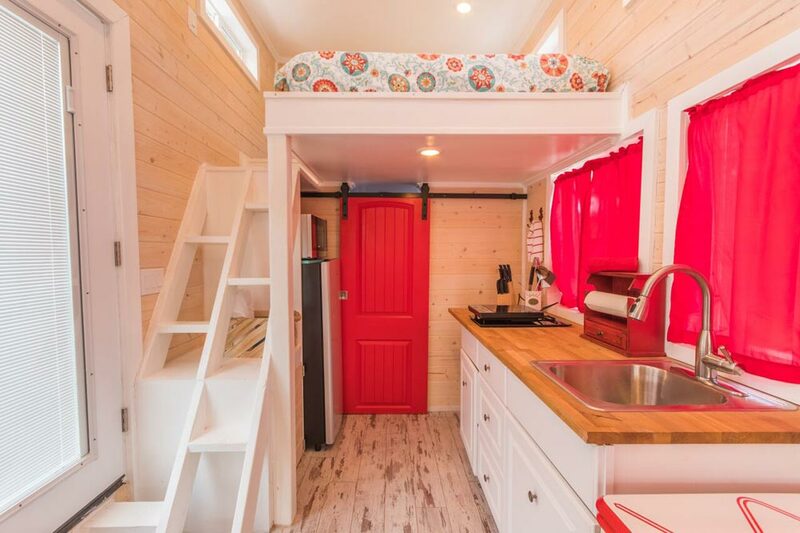 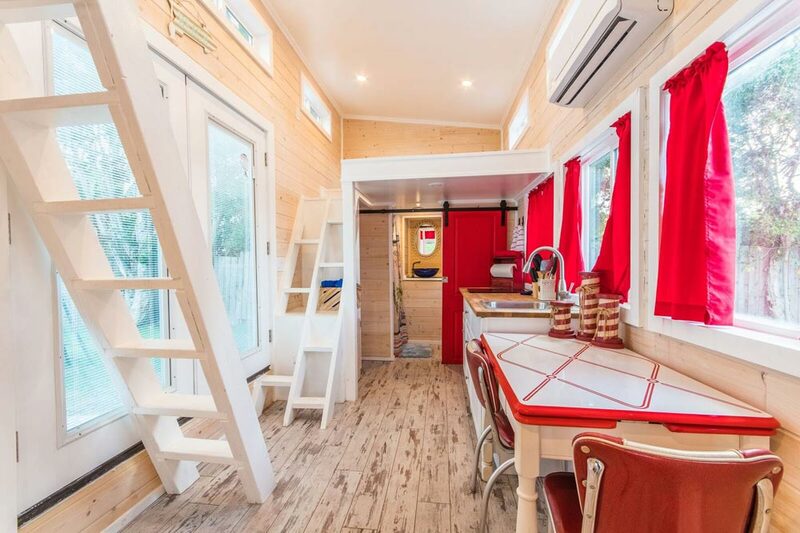 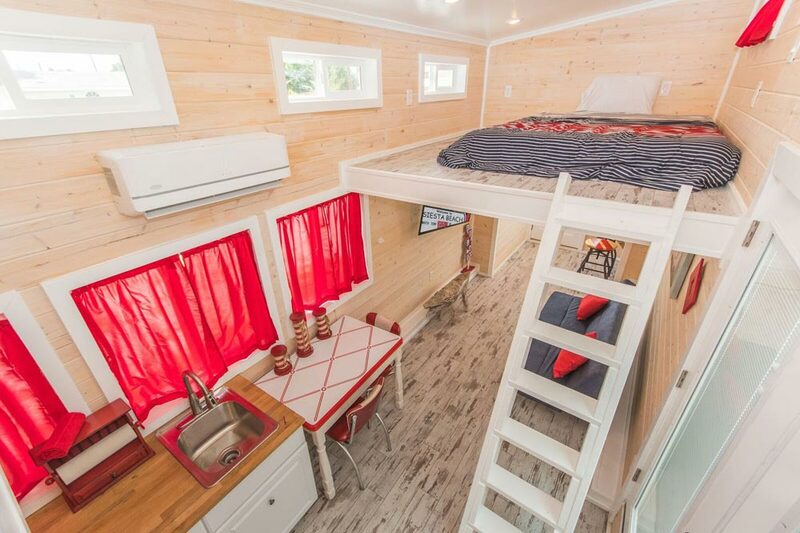 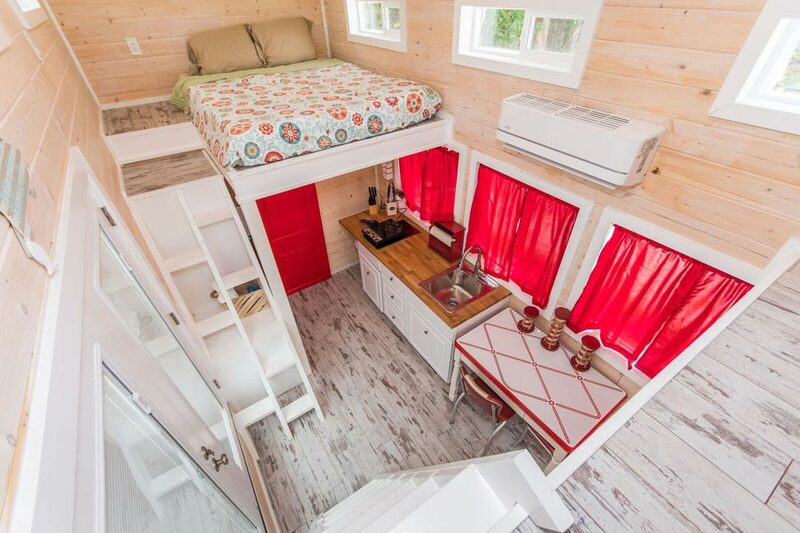 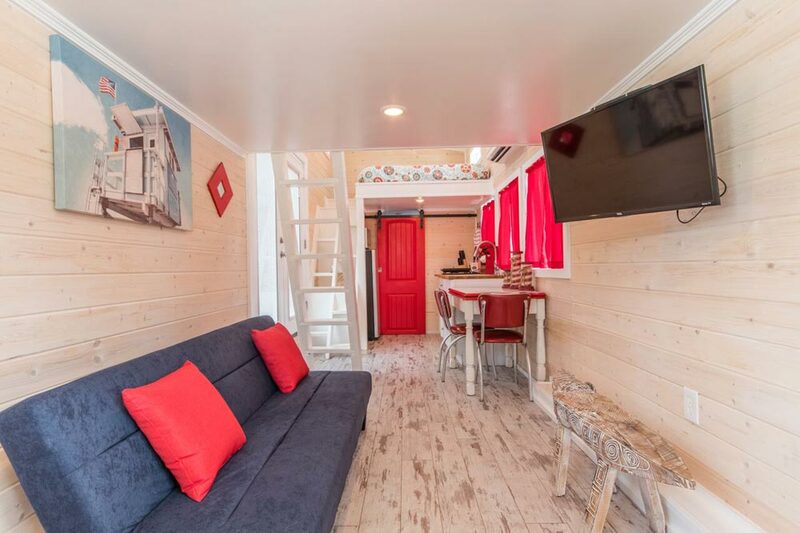 Modeled after Siesta Key Beach’s lifeguard stands is this 30′ tiny house, available for nightly rental at Tiny Siesta in Sarasota, Florida. 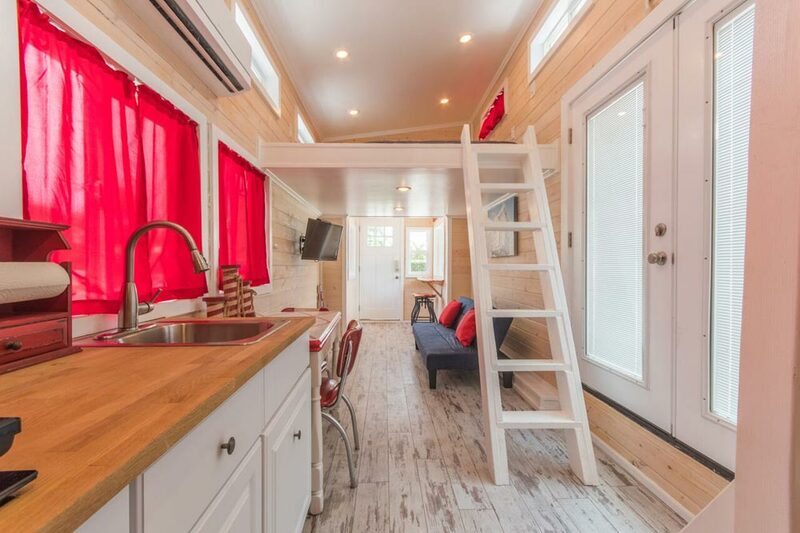 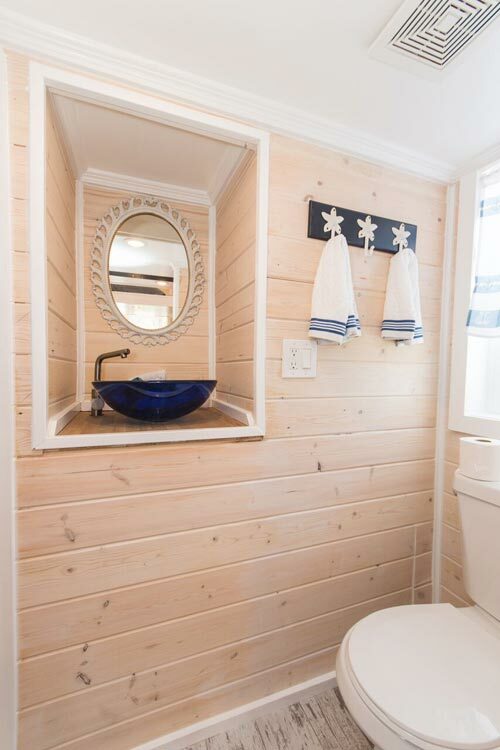 Located within walking distance to Siesta Key Beach, Tiny Siesta offers several unique tiny homes so you can give tiny living a try while enjoying the beach! 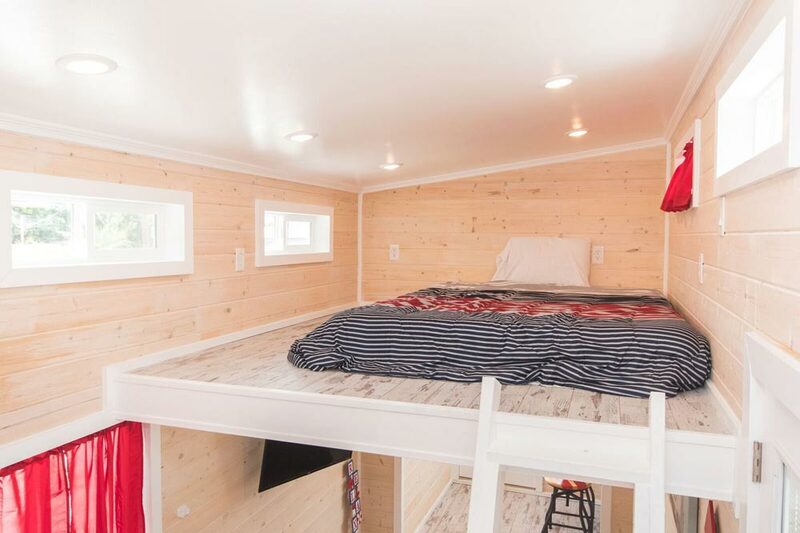 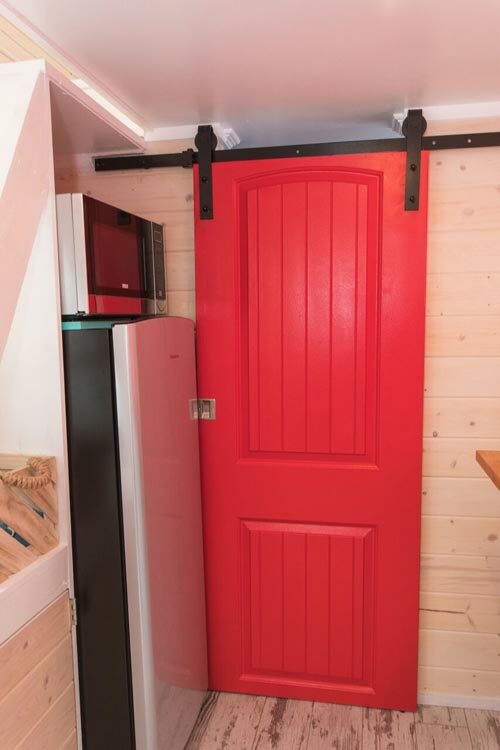 The Red Lifeguard Stand features two queen bedroom lofts, accommodating up to four guests. 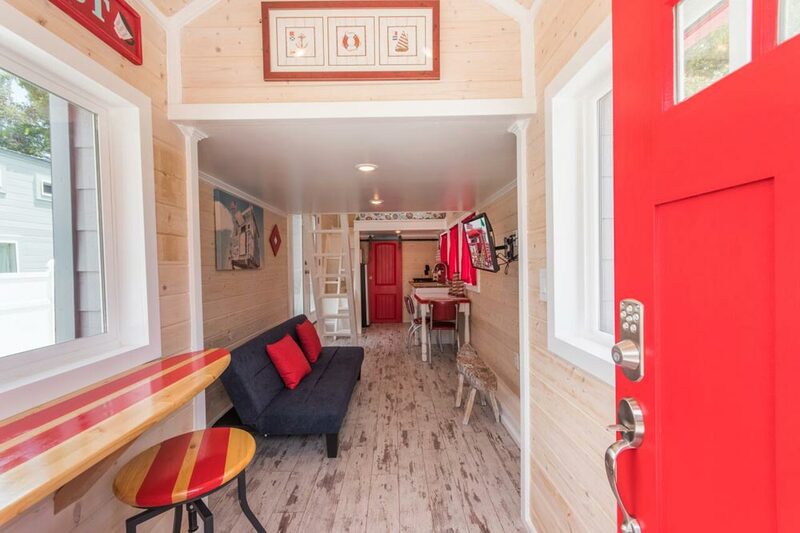 As with its sister Yellow Lifeguard tiny house, this one has a surfboard bar top and bar stools when you first enter through the lifeguard stand. 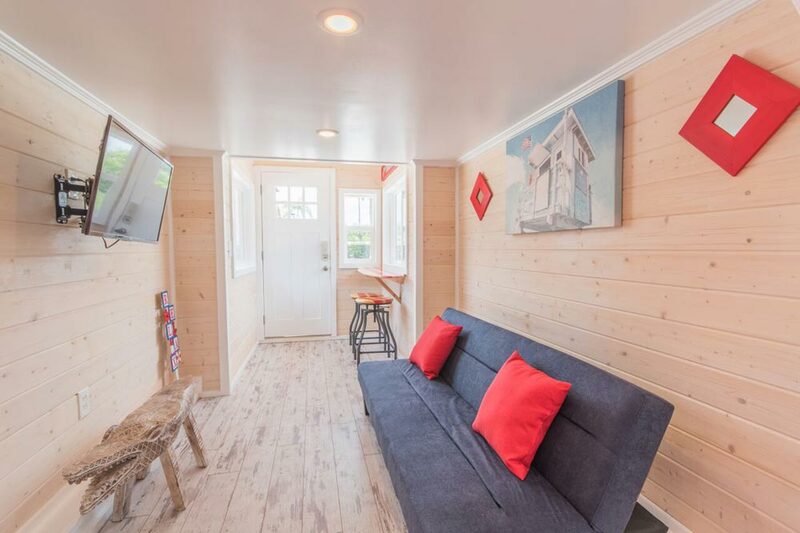 French doors lead out to the patio area and the large windows allow plentiful sunlight. 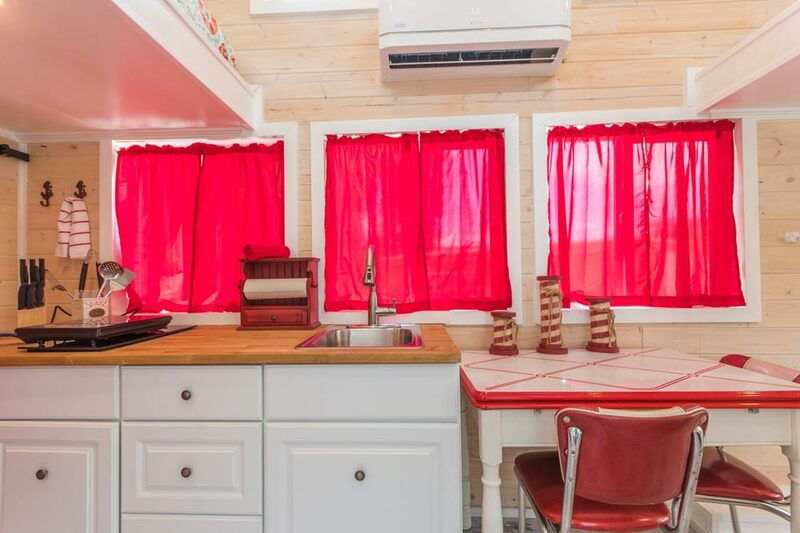 A small dining area is next to the kitchen where you’ll find a stainless steel sink, induction cooktop, refrigerator, and microwave. 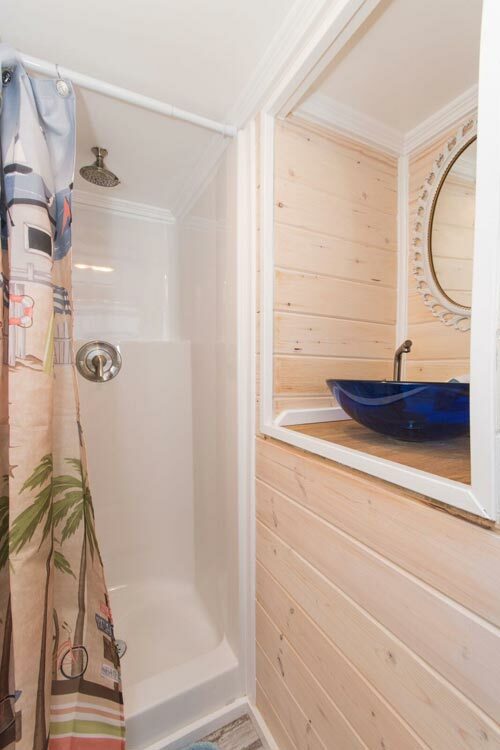 Nightly rentals start at $149/night with a two night minimum stay. 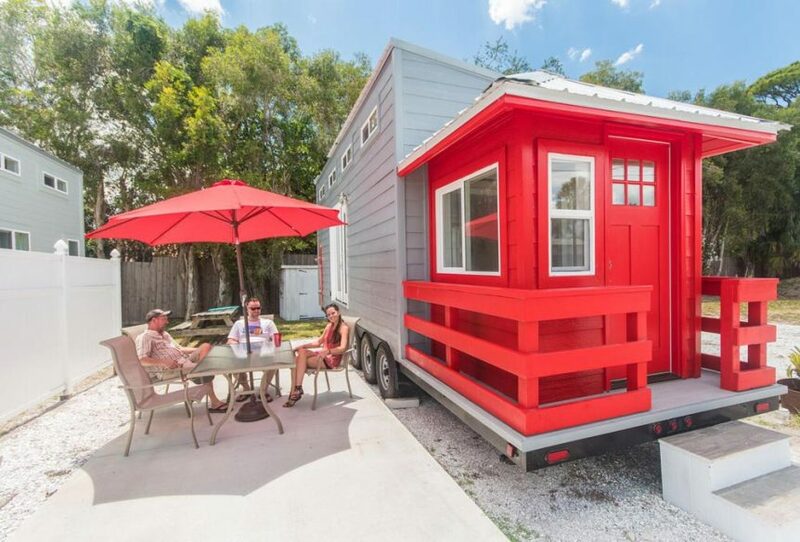 For more information about the Red Lifeguard Stand and to check availability, please visit the Tiny Siesta website. 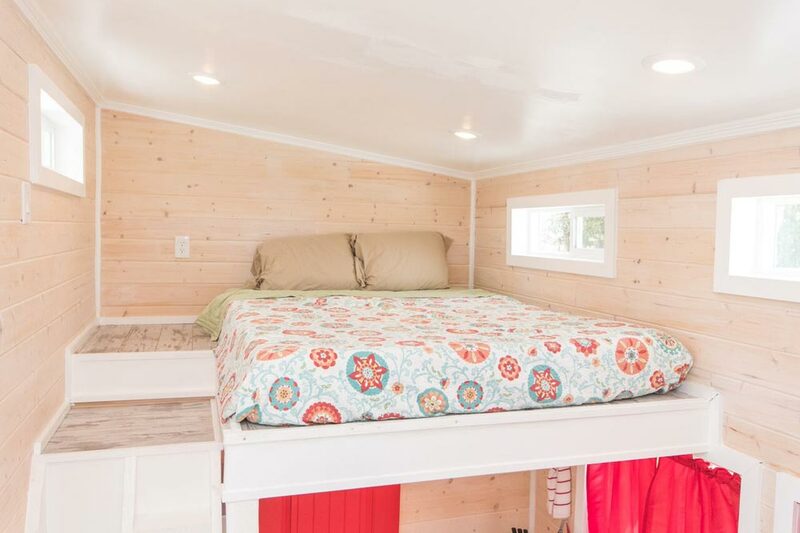 Also available at Tiny House Siesta: Amy, Aqua Oasis, Blue Oasis, Eleanor, Flamingo, Margarita, Red Lifeguard Stand, Sand Dollar, Siesta, Yellow Lifeguard.